Create and share public and private knowledge in a way that scales with your business. Your customers don’t want to search through online documents to find answers. Today’s on-demand culture means that customers expect answers fast and with little effort. 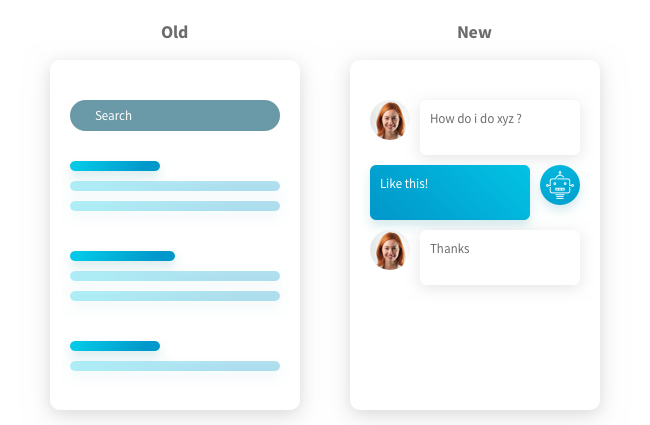 Relay helps you distill your knowledge into concise bits and deliver answers conversationally when your customers need them. Don’t answer a question with a link. Answer a question with an answer. 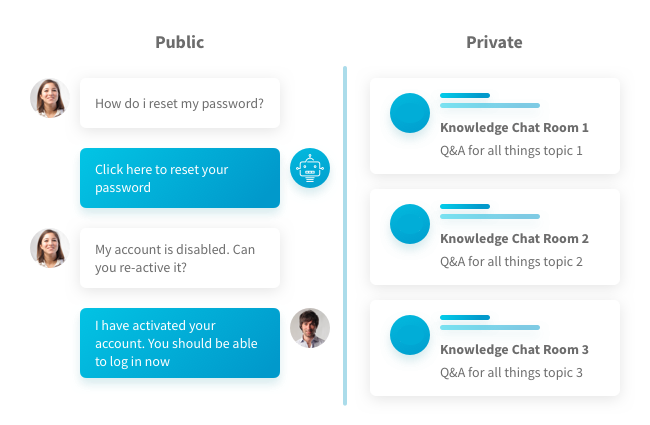 Relay uses a conversational knowledge interface to deliver answers – the way answers should be given. Reduce the time and cost of training and create service consistency with easy access to your entire knowledge base via team-based chat rooms. 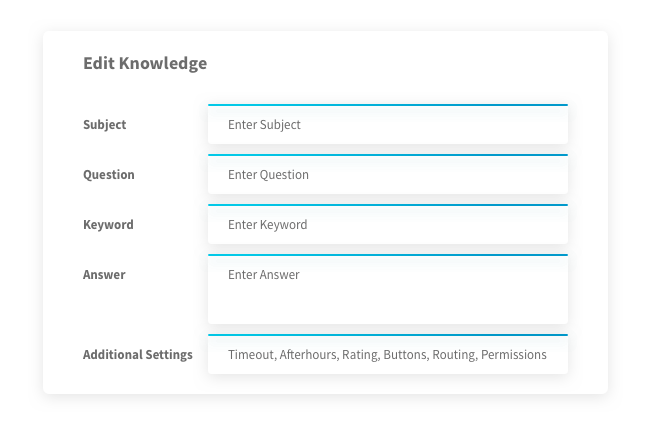 Select what knowledge is public for your customers and make it available for self-service. User-friendly interface to add, edit or delete knowledge. Grant access to certain team members to add or edit for version control. Track engagement with each topic to identify support trends and areas for improvement. Ratings from each conversation are captured to ensure knowledge quality. Track tickets that are automatically resolved by your knowledge to measure automation. The only thing better than a great knowledge base that you built is one that you don’t have to build or maintain. Use existing industry knowledge bases without any setup work. Browse and pick the knowledge you want to use. Use chatbots for customer support, internally for agents, or both. Created from millions of support interactions and continually updated. Want to make an update? Just let the bot know and it will get updated.